BASSETERRE, St. Kitts – The former deputy clerk of the St. Christopher and Nevis National Assembly, Sonia Boddie-Thompson, 33, has been promoted to the post of clerk of the National Assembly with effect Nov. 1, 2017. 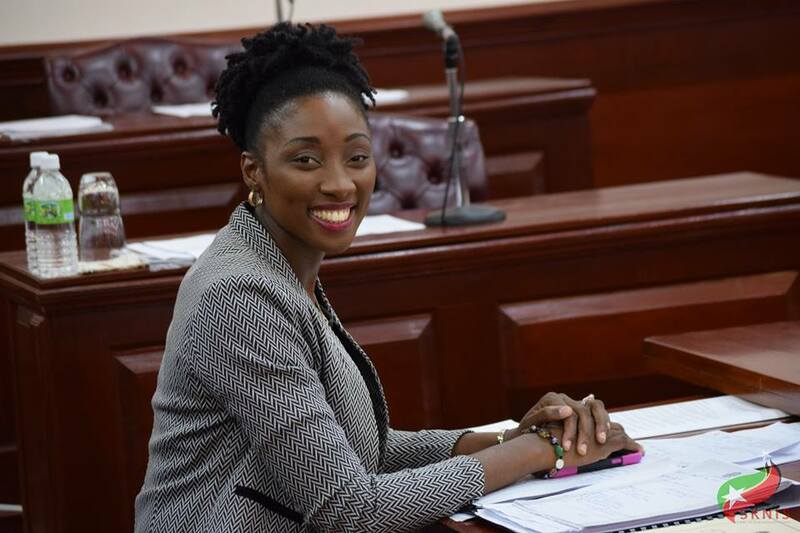 This promotion makes Boddie -Thompson the current youngest clerk of Parliament of the Caribbean, the Americas and the Atlantic Region Branch of the Commonwealth Parliamentary Association. Boddie-Thompson’s promotion was made public May 4 by Speaker the Hon. A. Michael Perkins during a sitting of the National Assembly. Speaker Perkins informed the House and the nation that His Excellency the governor-general had recently approved Boddie-Thompson’s elevation after a recommendation from the Public Service Commission. In his congratulatory remarks to Boddie- Thompson, the speaker noted that he was confident that her assumption of the position of clerk will redound to the increase in the efficiency of the operations of the Parliament. The speaker also informed that Boddie-Thompson had recently returned from training in Canada on parliamentary practice and procedures, which was timely and useful as it further equipped the new clerk to better undertake her role. Boddie-Thompson participated in the Parliamentary Officer’s Study Programme in Ottawa, Canada, at Parliament Hill from April 16-27, which provided her with a first-hand opportunity to observe and learn about the functioning of the Canadian Parliament System. Boddie-Thompson officially joined the National Assembly of St. Christopher and Nevis in November 2016 as deputy clerk. A Chevening Scholar, she holds a master’s degree in public administration with merit from the University of Birmingham in the United Kingdom, and completed a dissertation titled “Hindrances to the Proper Functioning of the Public Accounts Committee in St. Kitts and Nevis” in fulfilment of her degree.